Perdido breaks its own record, closing in on 10,000 feet! Bovo-Tighe celebrates with our client, Shell, on the accomplishment of their Perdido facility in establishing a new record for deepwater drilling at 9,627 feet below the water’s surface! The well is located 200 miles southwest of Houston in the deep water of the Gulf of Mexico. 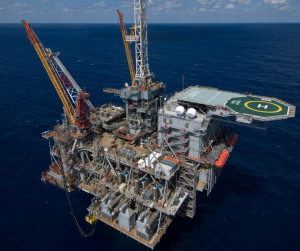 It is in the Tobago Field, which is just one of three fields producing through the Perdido drilling and production platform. Here is a link to an article about it in Oil and Gas Online. The article notes that the previous record for deepwater drilling was also held by Perdido, so the folks at Shell and their partners have outdone themselves! We have worked with a number of the employees involved in Perdido, so we are excited to hear about their accomplishments! We tip our cap to them!